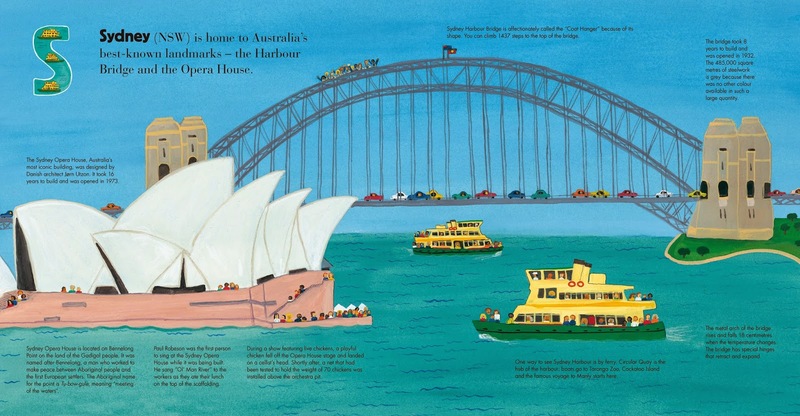 A is for Australia is a gorgeously illustrated alphabet book for children introducing them to some of Australia’s special places. From the ocean to the outback, author and illustrator Frané Lessac takes readers on a visual tour of familiar and not quite so familiar Australian places as she works through the alphabet. With only 26 letters, it is impossible to feature every major city or landmark, but A is for Australia offers a wonderful selection of places that demonstrates the incredibly diverse geography and experiences to be found in this country. From Bondi to Kakadu, Oodnadatta to the Torres Strait Islands, by the end of the book readers will have a chance to visit every state and territory, beaches, outback, cities, wetlands and more. A is for Australia captures the visual diversity of our beautiful country. It is the perfect book to share with family and friends overseas and is ideal for inclusion in family book collections as well as being a great resource for school classrooms and libraries. The back cover invites readers to ‘Discover why Australia is one of the most amazing countries in the world!’ and A is for Australia certainly provides readers of all ages with evidence of just how amazing our country is. 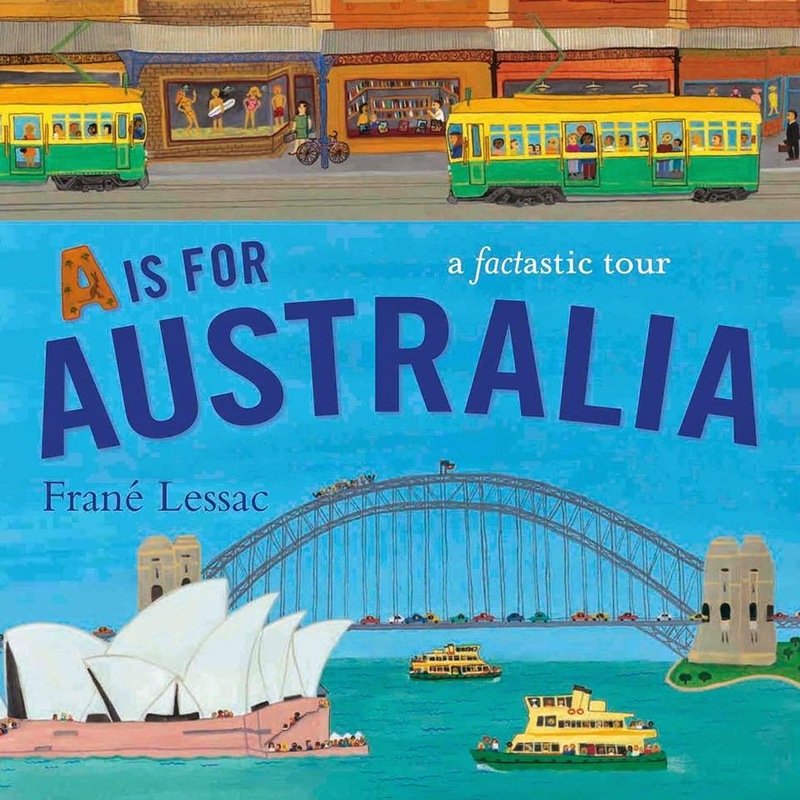 Frané Lessac has prepared a book trailer for A is for Australia that can be viewed here.